To analyze the reduction of dose to organs at risk between deep inspiration breath hold (DIBH) and free breathing (FB) techniques in left breast irradiation. 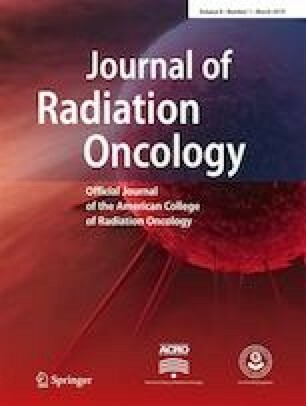 Forty left-sided breast cancer patients received adjuvant radiotherapy and were retrospectively analyzed. Treatment plans were generated on both DIBH and FB computed tomography (CT) scans. The patients were monitored by the Varian RPM™ respiratory gating system. The treatment planning was performed with conformal tangential fields by means of 6 and 10 MV photon fields. Treatment schedule were 50 Gy in 25 fractions (conventional schedule) or 40.05 Gy in 15 fractions (hypofractionated schedule), with or without sequential boost to tumor bed. Dose-volume histograms were compared for all plans. For the comparison, we considered cardiac and ipsilateral lung doses and volumes. Quantitative statistical analyses of plans dose differences were generated. In order to correlate the mean cardiac dose difference between the FB and DIBH techniques with maximum heart distance (MHD), a linear regression model was used. A statistically significant reduction of cardiac and pulmonary doses using the DIBH technique was achieved compared with FB plans, maintaining an equal coverage of planning target volume (PTV). A positive correlation was found between MHD and mean heart dose difference. Our study confirms the DIBH technique advantage in reducing cardiac and pulmonary doses for tangentially treated left-sided breast cancer patients. Further research is warranted to evaluate potential long-term clinical implications of these relevant dosimetry results.